Hair loss for a woman can be unnerving and distressing, not to mention embarrassing. 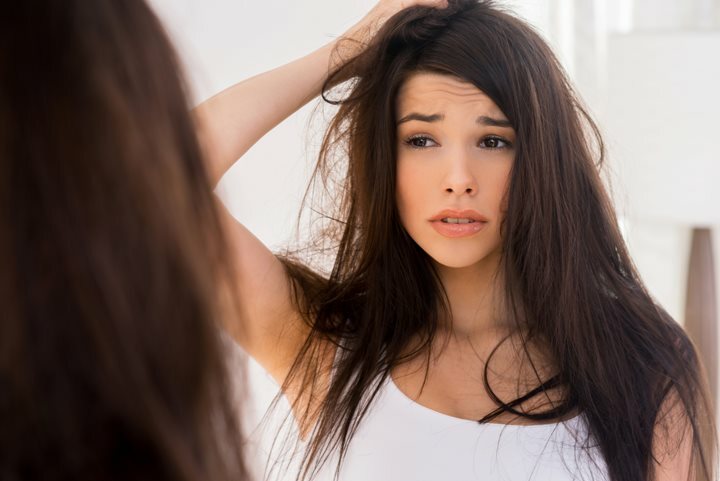 Although it is commonly caused by genetics, illness, or severe stress, other culprits include tight hairstyles, excessive dyeing, blow-drying, and other hair treatments. Additionally, certain prescription drugs can also be the root of the problem—birth control pills, blood thinners, and several other medications are linked to hair loss in women. While the risk of hair loss typically increases with age, women at any point in their life can struggle with it. Luckily, there are multiple ways to treat this unfortunate condition. The FDA has approved minoxidil as a potentially effective treatment for reversing hair loss in women. This topical cream prolongs the growth phase of the hair, which over time can promote new hair growth. This medication is most commonly associated with the name brand Rogaine, but it can be found in numerous other hair restoration products as well. While this can be an effective choice for some, it’s not a cure-all. 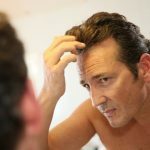 Most users find that their results reverse when they stop using minoxidil, and clinical studies have shown that it works much better on men than women. However, it is still an option to consider. Tea Tree Oil is an essential oil that’s great for promoting hair health. Its natural moisturizing and antiseptic properties are good for the scalp as well. This product clears dirt and oils from clogged pores, which encourages hair growth and helps counteract preexisting damage. It can be mixed with shampoo or simply massaged directly onto the scalp. Hair loss is sometimes due to a deficiency of one or more of vitamins and minerals. According to some experts, a lack of vitamin C, vitamin E, certain types of vitamin B, iron, zinc, or silica can all lead to thinning hair. On the other hand, vitamin A can cause problems if a woman receives too little or too much. For some people, supplements may be the answer to these deficiencies—although it’s important to note that the evidence of their effectiveness varies from medical study to medical study. Additionally, users should be careful when choosing supplements, as not all brands are equally effective. Finally, it may be more beneficial in the long run to increase the intake of vitamins and minerals through dietary changes instead of supplements. More drastic measures for dealing with this condition include hair transplantation and laser treatment. The first is a process in which hair follicles are moved around the scalp from full patches to thinning areas. This is often very effective and maintains a natural look, although convincing results may not occur for everyone. Laser treatment (also known as phototherapy) is a fairly new option for dealing with hair loss in women. Exposure to specific light wavelengths can stimulate blood flow and cellular metabolism, which may promote hair regrowth. It’s always important to consult with a doctor before making any treatment choices. Hair loss can be a side effect of a more serious underlying disease, such as a thyroid disorder or polycystic ovary syndrome. It is always best to consult with someone who can provide the appropriate testing and give you advice specific to your hair and body.